The Dallas Cowboys left the first round of the draft on Thursday night with an exciting new running back, but they almost had an exciting young running back AND a quarterback of the future-type. According to multiple reports that surfaced while the draft was still going on and confirmed afterward by Cowboys owner and general manager Jerry Jones, the Cowboys attempted to trade back in late in the first round to select Memphis quarterback Paxton Lynch. 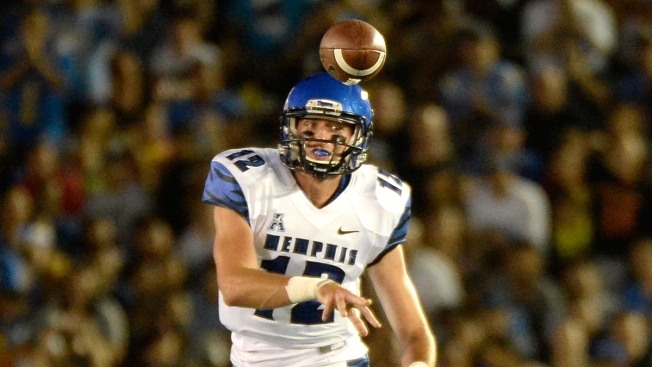 “We were working real hard to get up there for the quarterback—Paxton Lynch,” Jones told the team’s official website. The only problem was, the reigning Super Bowl champion Denver Broncos had the same idea, and put together an offer that got them there. In a trade with the Seahawks, they moved up from No. 31 to No. 26 and scooped up Lynch.